Zaida Soriano of Oaxacan Kitchen Markets will talk about the food of her culture, and cook a few samples for us to enjoy! From Oaxaca, Zaida moved to California when she was 15 years old and always carried with her the dream of sharing the unique flavors, spices and fresh food of her home. 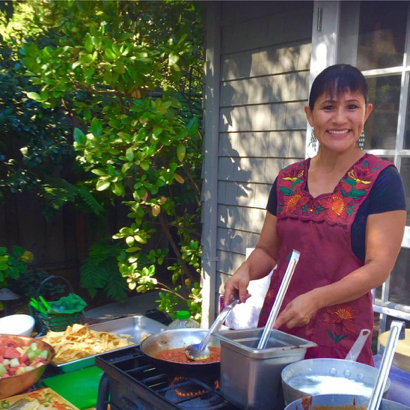 As the owner of Oaxacan Kitchen Markets, her dream has become realized through bringing Oaxacan food to various farmers’ markets, teaching cooking classes and catering.